Dental Bonding or Composite Bonding is a cosmetic dentistry technique which can be used to repair problems such as cracked, chipped and discolored teeth. It can also be carried out to repair minor cosmetic repairs such as closing small gaps between teeth, mending small fractures, chips in teeth and to protect roots of teeth. 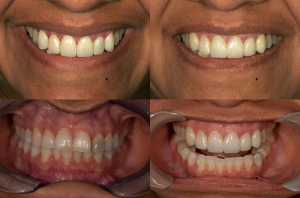 Dr. Hawary uses cosmetic teeth bonding to change the shape of chipped, broken, stained, discolored or broken teeth effortlessly and affordably. During the bonding process, Dr. Emil Hawary will use a tooth-colored composite material to correct problems, cover stains or discoloration, repair chips and improve the appearance and function of damaged teeth. When compared with amalgam based fillings, bonding is considered as better option in recent days because of its natural look. Also it reduces the possibilities of fractures and a crack occurring as they are common with fillings. 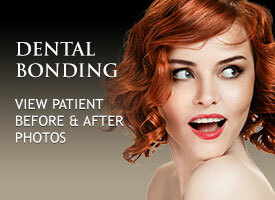 Dental bonding can last between 5-15 years. Dr. Hawary has been skillfully performing expert teeth bonding for patients for many years resulting in numerous gorgeous smiles.